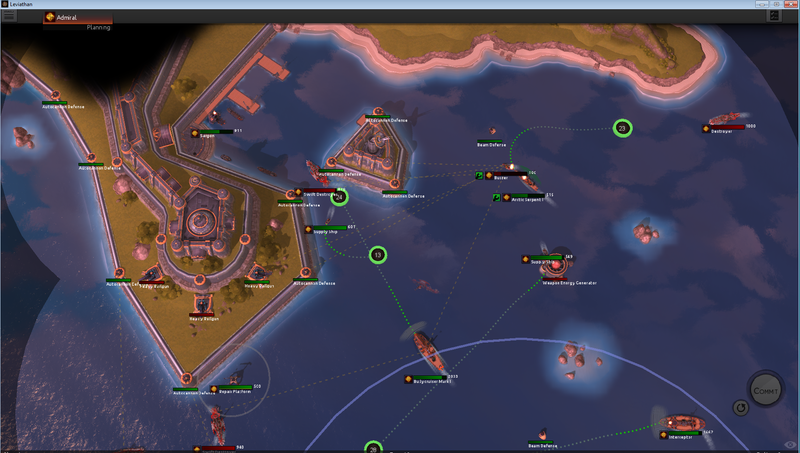 Leviathan: Warships is a game of classic warship tactics...or would be, if Admiral Nelson had railguns and lasers at his disposal. Victorian styling, World War I armored battleships, and far-future force fields and beam weapons combine to give Leviathan a unique style that works perfectly for a tactical game. Leviathan alternates between tactical orders and seeing those orders played out. Although this game evokes Gratuitous Space Battles, it has differences as well. You give orders, see them carried out for ten seconds, then give new orders. This allows you to adjust your tactics as the battle evolves, reacting to new ships or new objectives. There's a level of granularity to the control. Most weapons can auto-fire, selecting targets of opportunity, but you can also override this and pick some targets individually, on a case-by-case basis. In other words, you can assign some and leave some to autofire, and keep switching. 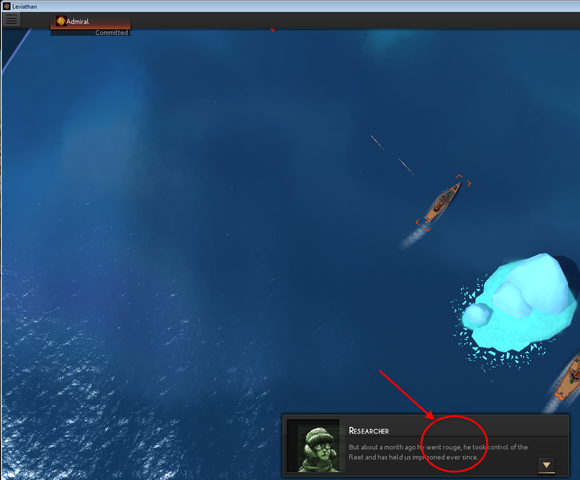 A great deal of information, such as ship status, targeting, plotted course, and visual range, is conveyed efficiently. You must constantly make decisions in battle. One of the most important is your shield facing. Most ships have force fields, but they can face in only one of four directions, and it takes time to power down the shields from one facing and power them up in another, sometimes leaving your ship exposed on all sides. Weapons have minimum as well as maximum ranges: If your ship gets too close to an enemy, you will not be able to bring some weapons to bear on it. Friendly fire is a real issue as well. If you aren't careful, some of your own ships will pass between an ally and an enemy they are firing at. Once you've given the orders for a turn, you can only watch them be carried out. You can't correct them mid-turn. Raise forward shields! Plot course for intercept! Battles are often won or lost before they begin, at the fleet- and ship-editing level. Each scenario offers only so many points to spend, and each weapon, defensive system, or hull type offers advantages and disadvantages. 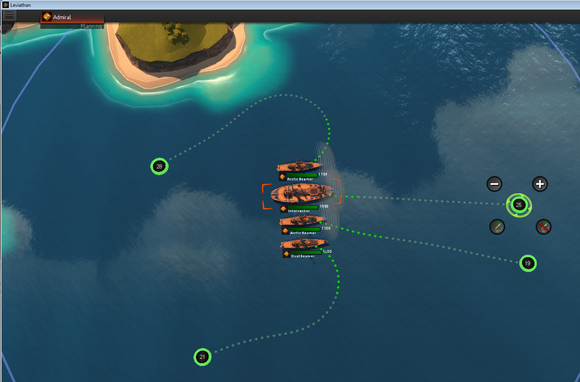 Weapon firing arcs are very important…do you maximize power along one axis, or try to cover all angles? 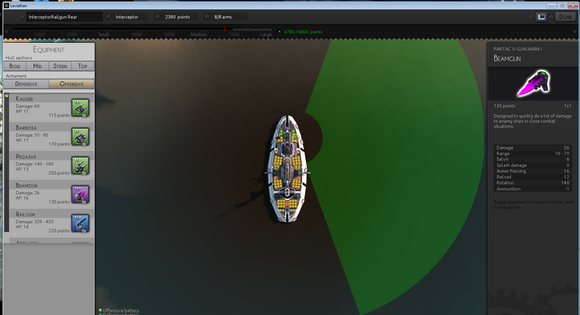 If feature lists and play options were the basis for reviews, Leviathan: Battleships would be a five-star game I'd likely play long after the review had gone to press. 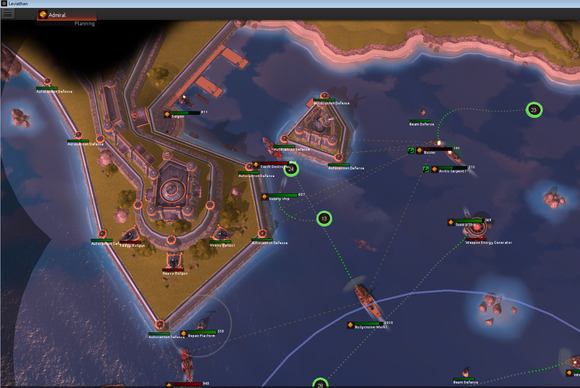 However, implementation matters, and while Leviathan: Battleship is by no means unplayable, it has a number of smaller issues that undermine the game's potential. Armor, firing arcs, and ranges all need to be considered. Ship design and tactics feed into each other. First, there are a number of interface issues. The lists in the shipbuilder sometimes refresh improperly, so you might not see a weapon until you leave a screen and then return. Flipping from windowed to full-screen mode caused a number of graphic glitches. Some of the fleet management and ship editing actions are less intuitive than they could be. I suspect some of the issues are due to tablet support: Many game actions have multiple single-click steps that would be easier to do with a right-click popup. 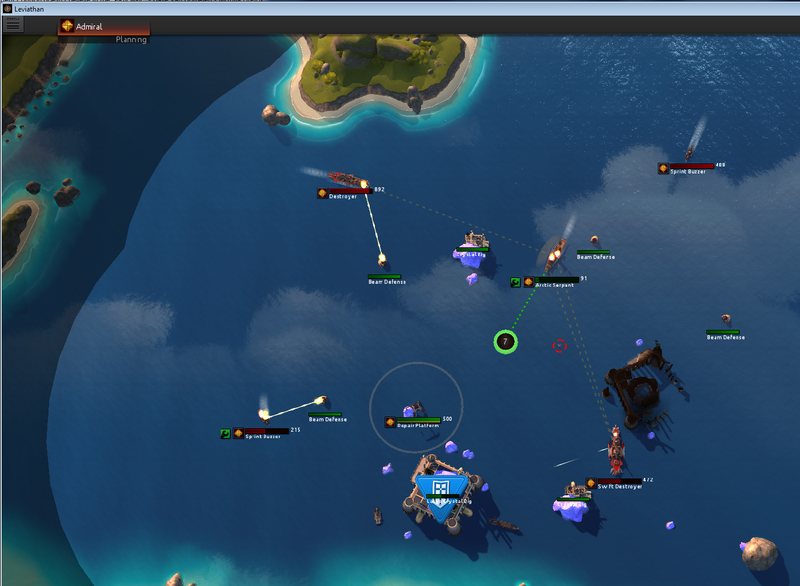 Second, because Leviathan: Warships is new, the online community for random battles is still small, so small that I was unable to find a matchmaker fight. I got into one, once, but after 15 minutes of my opponent doing nothing while I waited for them to signal completion, I gave up. This should be a self-correcting problem as the game builds an audience. The 1.1 patch that came out at the end of May resolved some of the interface and balance issues. Balance in a multiplayer game is always an ongoing process, however. "Went rouge"? It could be worse. He could have gone ochre. Or even plaid. At ten dollars, Leviathan: Battleships is inexpensive, but there's currently no trial. The issue orders/see results style of play is very appealing to me, but it's not for everyone. I think there's enough fun to be had here, currently, to be worth the cost if you like tactical games, especially those with "build your own unit" functionality. Note: The download button takes you to the vendor's site, where you can download this buy-only software. If you like tactical play, the low price point makes this game worth trying despite the teething pains.